One of the more obscure Marvel TV shows coming down the pipeline is Cloak and Dagger. And while some fans might not be familiar with the title, others are extremely excited to see this pair of superheroes coming to the small screen, seen for the first time in live action. Their anticipation is only going to have to grow, though, as it has been confirmed that the series is being delayed. The Hollywood Reporter delivered the news, giving an update on the development process behind this Freeform series (formerly the ABC Family channel). While the show is stalled slightly, it was also revealed that Marvel's Daredevil writer Joe Pokaski has just landed the role of showrunner. Which will be exciting to fans who are in love with Netflix's current run of Marvel TV dramas. Cloak and Dagger was originally supposed to debut in 2017. It is now being held until Winter 2018. The show itself didn't forgo the traditional TV development process. Instead it was ordered straight to series back in April. Cloak and Dagger follows superheroes Tandy Bowen and Tyrone Johnson. They will learn to use their new found powers while also falling deeply in love with each other. Cloak can teleport through the 'dimension of darkness', giving him a slight Doctor Strange vibe. He's also capable of leaving his foes trapped in this otherworldly dimension. Dagger can create light daggers with her mind, which she is capable of controlling. These light daggers can both drain life, and replenish and heal. Bill Mantlo and Ed Hannigan created these Marvel characters for the Spectacular Spider-Man comic book series, with the two often interacting with Peter Parker. The pair have also fought alongside the X-Men, The Runaways, Doctor Strange and Captain America. They were even members of the Secret Avengers in the Civil War comic book story arc. ABC Family had previously attempted to turn Cloak and Dagger into a TV show back in 2010, with the story set in New Orleans. That never happened, and at one time, Marvel Studios even played with the idea of a feature film revolving around the two characters. 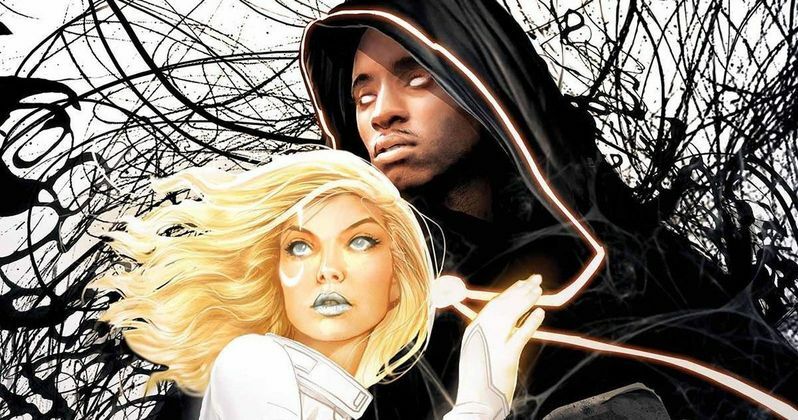 Though Cloak and Dagger is on Freeform, it is still part of the ABC Disney Family, and these superheroes will be part of the current MCU. Though, it's tough to tell jus how they will be used in a crossover capacity. It is possible that they could show up on Agents of S.H.I.E.L.D. before 2018. And its even possible that they could be in Avengers: Infinity War, which boasts a total of 67 main characters.